The American Civil Liberties Union of Kansas has filed a complaint in federal court on behalf of a Wichita man who said he was targeted because he is Muslim and was falsely accused of flying a terrorist flag. The ACLU said in a news release Monday that it filed a complaint against the Spirit/Boeing Employees’ Association, or SBEA, on behalf of Munir Zanial, who works at Spirit AeroSystems. SBEA is a member-owned nonprofit open to current or former Spirit and Boeing employees, according to its website. It is not affiliated with Spirit AeroSystems. The complaint says an SBEA employee reported to Spirit’s security team that Zanial and people in “Muslim garb” had held an ISIS meeting in September 2017 on SBEA property. SBEA later revoked Zainal’s right to use the group’s property. Zanial said the gathering was to celebrate an Islamic holiday and Malaysia’s independence day. Trish Pulliam, SBEA’s executive director, said Monday the group had not received any paperwork regarding the complaint. She said without knowing the details outlined in the complaint, she could not comment. Zanial has lived in Wichita since 2011, according to the court filing. He earned a master’s degree in aerospace engineering from Wichita State University and is a senior stress engineer at Spirit. He is a native of Malaysia and a permanent resident of the United States. He had rented SBEA’s recreational lake in south Wichita on Sept. 2, 2017, to celebrate Eid-Al Adhara — a Muslim holy day — and Malaysian independence day with about 45 guests. An SBEA employee reported the gathering to Spirit’s security team, saying Zanial may be affiliated with radical Islamic terrorism and used the property to hold an ISIS meeting. 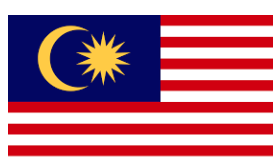 Spirit forwarded the report to the FBI, which determined the desecrated flag actually was the national flag of Malaysia. After talking with Zanial, the FBI closed its investigation shortly after receiving the complaint. Zanial said he continued to pay membership dues to SBEA — about $14 a month — but was told in January 2018 when he tried to rent a pavilion that his membership rights had been restricted. Zanial is seeking to have his membership restored. He also is seeking damages from SBEA and payment of his attorneys’ fees. Tom Shine is the director of news and public affairs KMUW, a partner in the Kansas News Service. Follow him on Twitter @thomaspshine. Stephan Bisaha contributed to this report.